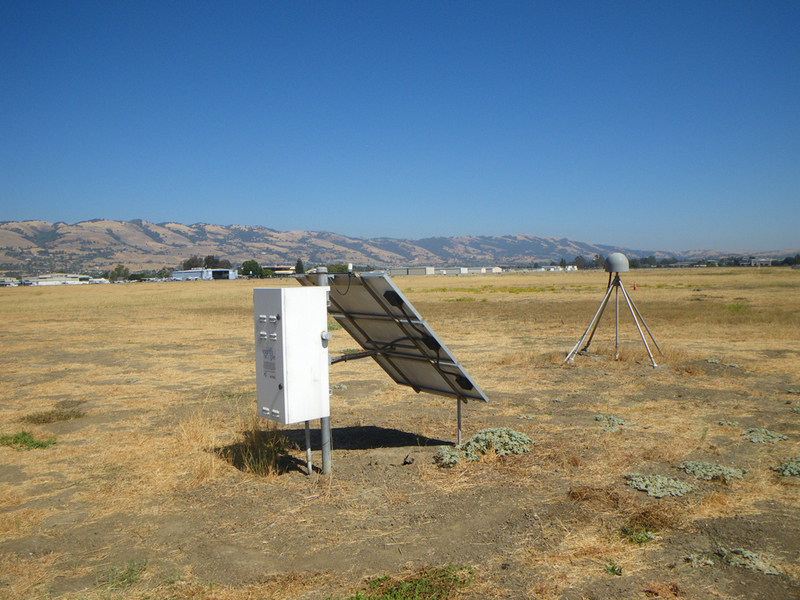 GPS sites in California measure the changing water load due to rainfall, snowfall, groundwater, and drought. The recorded small vertical motions are shown to influence the state of stress on shallow faults. An analysis of fault failure conditions indicate that the rise and fall of the surface due to water loading and unloading creates a small amount of additional stress on the faults and can trigger small earthquakes. The Plate Boundary Observatory (PBO) and the Bay Area Regional Deformation (BARD) global positioning system (GPS) networks track the motion of the surface in three dimensions with exquisite precision of centimeters to millimeters. These networks provide dense coverage of plate tectonics, earthquakes, volcanoes, landslides and other surface processes in the very active state of California. California is also recognized for its active hydrosphere with annual cycles of wet and dry seasons. Over the past decade, the GPS networks have been used to track the water loading and unloading in California due to rain, snow, drought and other water cycle processes. If water (as rain or snow) is added to the surface, then a GPS site will go down a small amount and if removed then a GPS site will go up a small amount. The dense GPS networks in California have been making observations for more than a decade. The density of the sites, combined with the long period of observations, allows researchers to make precise measurements and calculate the weight of the water load from the surface motion signals. 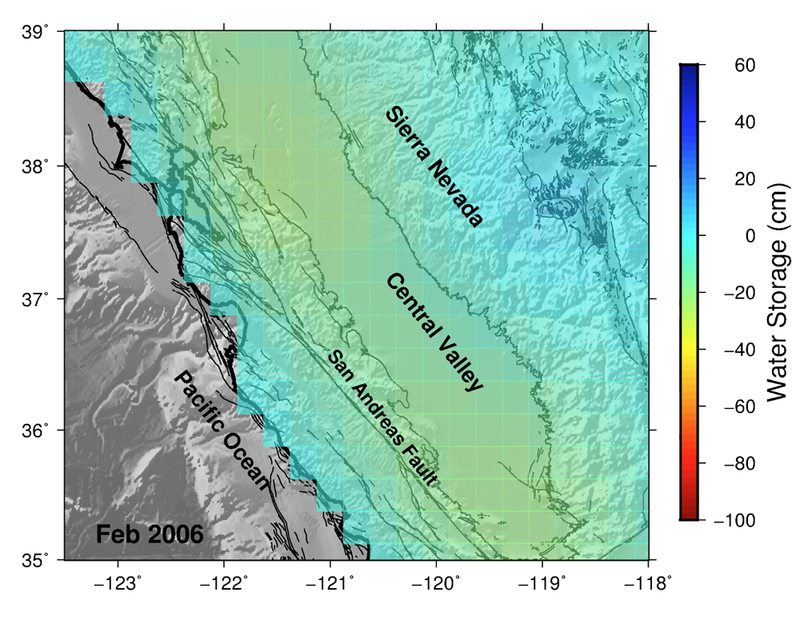 Here, the authors use 9 years of GPS vertical motion data to constrain the monthly water loading and then compare these seasonal signals to the number of earthquakes and the types of faults in California. A comparison of the earthquakes with the GPS data for seasonal water loading and unloading in California shows that small earthquakes can be triggered by the annual changes in the water cycle. This is a significant new result because it shows that other factors can affect the earthquake cycle in California. In particular, the seasonal and omnipresent water cycle can change the state of stress on faults. These results improve our understanding of earthquake processes and help to inform the evolving earthquake forecast and earthquake early warning systems in California. 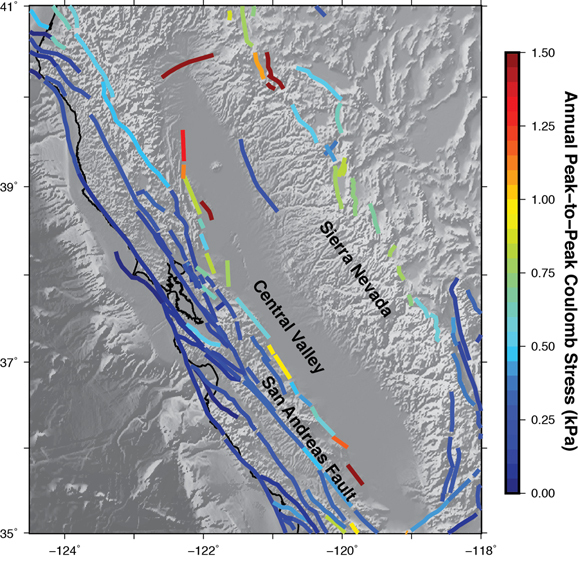 Seasonal water storage, stress modulation, and California seismicity, Johnson et al., Science, 2017, doi:10.1126/science.aak9547.